Finding best keywords for YouTube video is the very first step you should do before you even create a YouTube video. In this post, we are going to see how to find keywords for YouTube video. Is it easy to find keywords for YouTube video? Of course, yes there is easiest way to find keywords for YouTube video with an awesome plugin called Tubebuddy. It has numerous features and one such feature is to do YouTube keyword research. But now we are going to see how to find YouTube SEO keywords with low competition and high search volume to get more views. How to find the best keywords for YouTube video? 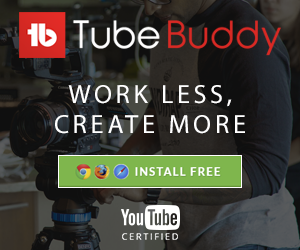 All you need to do is to sign Up and Install Tubebuddy on your chrome browser. Go to YouTube homepage and type keyword that you have it in your mind for your next video on the YouTube search box. 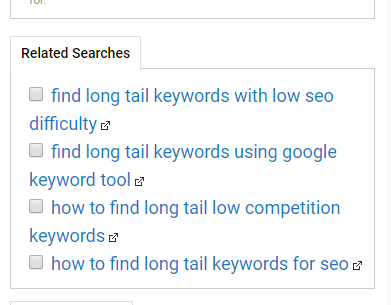 For example, I’m planning to create a video on “how to find long tail keywords“ (This is the Keyword I have it in my mind). But I really have no idea about how good is my keyword. Is this the keyword, viewers are using it in the YouTube search box? Is this the keyword having high search volume and low competition? Really I don’t have any idea! I need something like YouTube keyword research tool to get this kind of info. Just head over to YouTube and type “find long tail keywords” in the search box and press enter. On the right side, you can see search explorer, under which you can see “Related searches”. Those are the golden keywords, users are actually using to perform searches on YouTube. Pick the keyword which exactly matches with your upcoming video. Just scroll down and you can find most used tags. These are the keywords used as tags in top ranking videos. Great, you have the right keyword for your new video. But you are not done yet. You really need to check two important things before finalizing the keyword. If you don’t have enough search volume then you won’t get views. If you have high competition then you cannot rank your new video on the first page. So, you need to pick keyword having good search volume and low to medium competition. Search volume shows you how many people are really searching on YouTube with this keyword. Competitive shows that how competitive the keyword is. 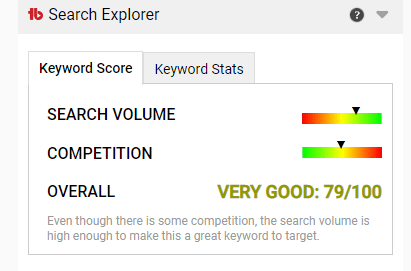 Overall Score represents how effective your keyword. You can pick the keywords which are having the overall score as Good or Very Good. Or you need to repeat YouTube keyword research to find keywords for YouTube video. Next, to the keyword score tab, you can see keyword stats. .
And it shows which channel has the most amount of subscriber and the least amount of subscribers. Finally, you can check how many videos published in the last 7 days, top channel and videos that contain our keyword. Keyword stats give you good analysis on existing search results for the given keyword. You can optimize your video by including the keyword on the title, Description, and tags. Optimizing YouTube video for SEO is an important factor in ranking it on you-tube. You need to continuously optimize even after publishing to rank higher on the search results and also track the Youtube and google keyword rank periodically. Use my coupon code 20OFFAMARINDAZ and save 20%off on all pricing plans. Note: You need a star level license to use this feature. I suggest you follow this approach for your new video and let me know how it works.